It is somewhat a wonder that we still use a material that was discovered thousands of years ago. 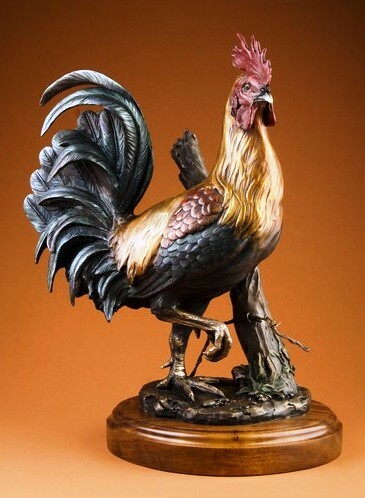 More astonishing, though, is that artisans and even industrialists, continue to use the lost wax method of bronze casting. This method of production is loved by artists, jewelers, and machinists because it maintains even the smallest detail. For you curious ones, here is a little more info about this fascinating process. 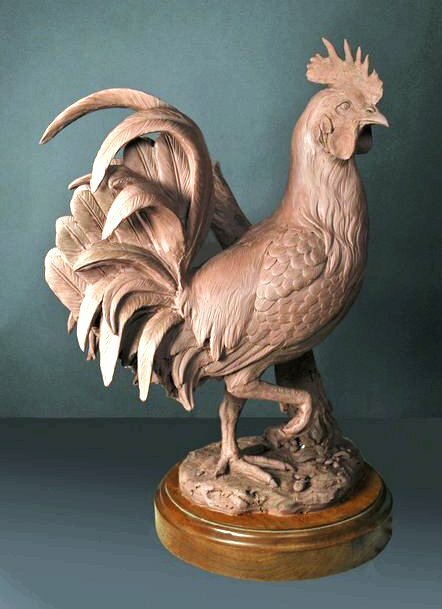 It’s not every millennium that you can create beautiful art work using a process that is thousands of years old, but lost wax casting happens to be one of those processes. A technical and somewhat lengthy process, contemporaries use the same steps as the artisans of 2000 BC. The first step in the process is to carve the sculpture. An oil based clay is often used which will stay pliable and allow the artist to leave the piece for an indefinite amount of time. Most pieces are supported internally by armature which can be made of any number of materials—special foam, wire or even aluminum foil. The finished clay sculpture looks exactly as the artist intends, with all the details in their final form. The next step is to make a mold of the original, out of which the bronze will be cast. The clay sculpture is divided into sections and silicon rubber is poured over each section creating a soft layer. This layer is then encased in plaster making it rigid and in turn more stable. Referred to as the “mother mold”, it is now the exact negative of the original sculpture. Molds are generally two sided, so when both sides are complete, the mold is opened and the original clay sculpture is removed. This mold will be used repeatedly, unless it is a limited edition, at which point it will be destroyed once the full edition has been cast. The mother mold is now ready to receive the molten wax. 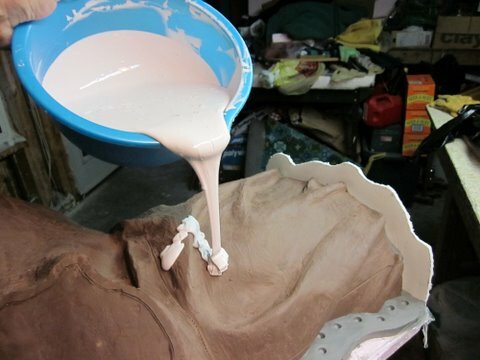 The melted wax is poured on the inside of the mother mold and rotated to create a uniform layer. This step is repeated using a cooler layer each time, until the desired thickness is reached, usually about 1⁄8 inch. This dimension also determines the wall thickness of the final bronze. The wax liner is now an exact copy of the original. Once it is removed from the mold, the wax is then “chased” using a heated metal tool, which will help smooth out any unwanted marks or seams. The wax now looks like the finished piece. A wax, tree-like structure, known as gating, is then created by attaching “paths” and a “cup” to various spots on the wax model. The gating provides open pathways for molten bronze to flow and will be removed later in the process. After the gating is complete, the wax model is dipped alternately into slurry, then into a silica sand material, allowing the piece to dry in between. The process repeated until the shell is least a ½ inch thick. This is repeated as many as ten times and can take weeks to complete. The bigger the piece, the thicker the shell needs to be. Once dry, the piece is then placed in a kiln to harden the coating, and melt the wax. 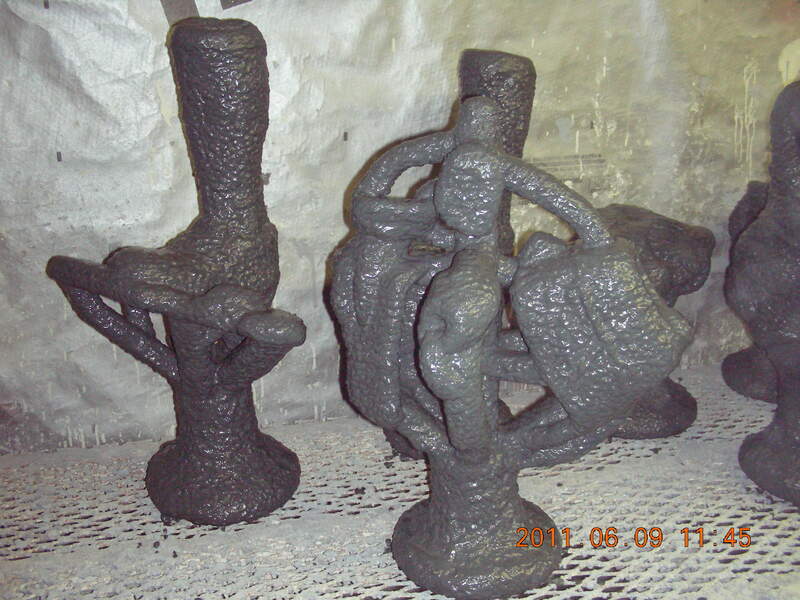 What remains is the negative space, formerly occupied by the wax, hence the term “lost wax casting”. When the shell is cool, water is poured through to expose any cracks or leaks and then patched if necessary. After this it is finally time to pour the bronze. The bronze alloy is melted in a vessel known as the crucible, and then poured through t he cup into the heated shell. The pouring process takes place very quickly and requires a team of several people. 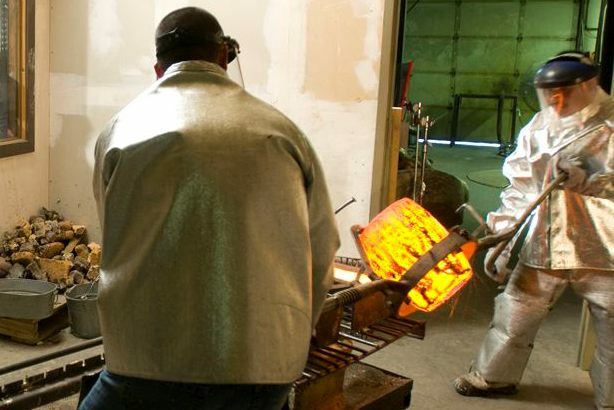 The bronze cools rapidly and may be handled as soon as one hour after pouring. The investment (the hard shell mold) is then broken open, revealing the final bronze. At this point the gating is removed. The piece is sandblasted to remove any residue from the investment; pits are filled and the piece is chased to remove the seam, welding and other marks. It is worked on in this manner until it looks exactly like the original sculpture. From there patinas are applied and the sculpture is finished. 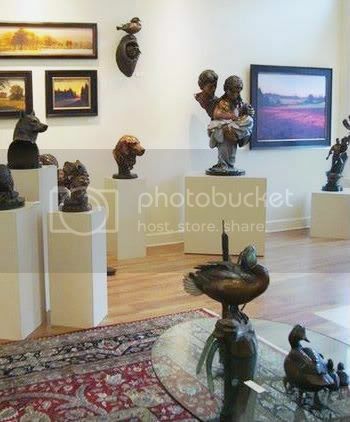 In a future post we will talk about patinas and caring for your bronze sculpture.